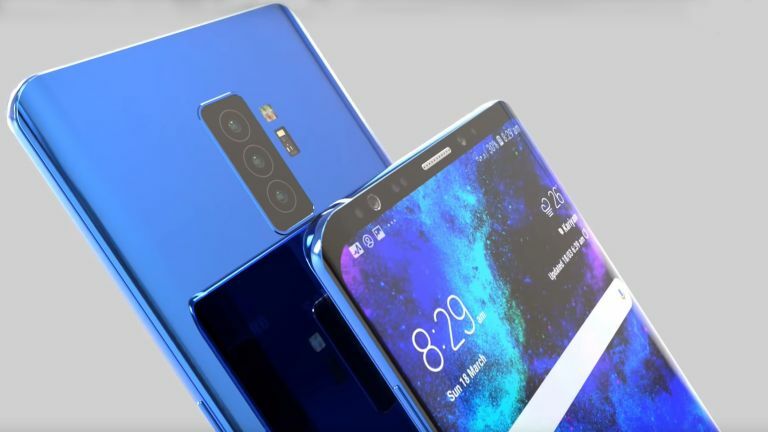 The Samsung Galaxy S10 is going to be one of the absolute biggest phones of 2019 and now, thanks to a mouth-watering new S10 video, we can see just how spectacular the supersized Plus version of the phone, the Galaxy S10+, could be. The Galaxy S10+ video, which was posted online by mobile phone industry designer TechConfigurations, shows off the phone in full, with every angle on display and even nods towards its potential internal hardware spec and features made. The Galaxy S10+ here is equipped with the powerful next-generation Qualcomm Snapdragon 855 CPU, an in-display fingerprint reader, a retina scanner with 3D face recognition, a triple rear camera array (24+8+12MP), a 6.2-inch QHD Infinity Display with HDR 10, and a ultra slim bottom bezel. Obviously this Galaxy S10+ video is unofficial, however it is based on reported industry leaks and rumours, so we would certainly not be surprised to see the finished phone equipped similarly as it is here. Especially so as the Galaxy S10 will be Samsung's 10th anniversary Galaxy phone, so the South Korean maker will want to pull out all the stops. A Galaxy S10+ loaded with an in-display fingerprint reader, HDR 10 6.2-inch QHD Infinity Display, and Qualcomm Snapdragon 855 CPU? That would be a new iPhone X Plus killer.